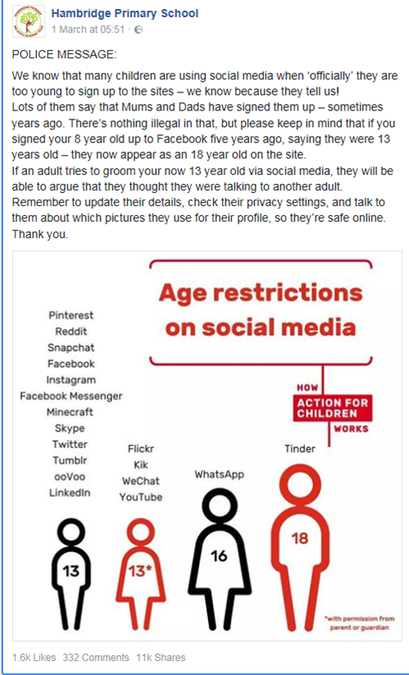 If an adult tries to groom your now 13 year old via social media, they will be able to argue that they thought they were talking to another adult. Remember to update their details, check their privacy settings, and talk to them about which pictures they use for their profile, so they’re safe online. Thank you.